History of the hotel Olympic Palace is very closely associated with the history of the Carlsbad town. The hotel is located on a street named after small castle which was built as one of the first building in a new village in 1348 by Charles IV. Expansion of Carlsbad as a spa town lead to build and reconstruct hotel Olympic Palace. Later hotel was developed according to successful spa and tourism business as well as the decline after the war. 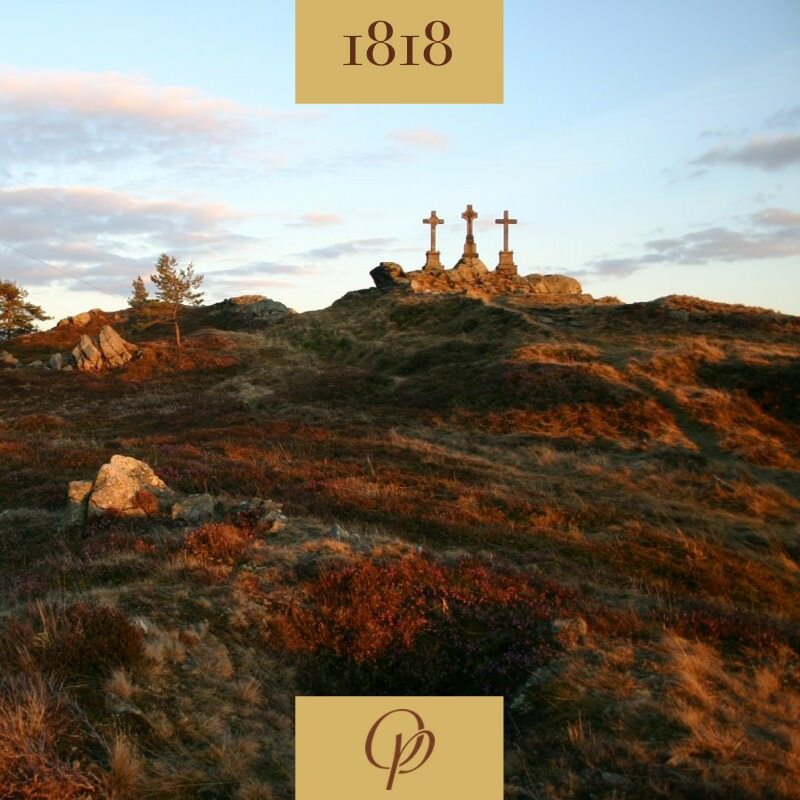 In 19th century the political and culture expansion in Carlsbad reflexes the life in the hotel and we can say that in the history of the hotel you could reflect all important events which happened in Europe and in the Czech Republic in 20th and even 21th century. 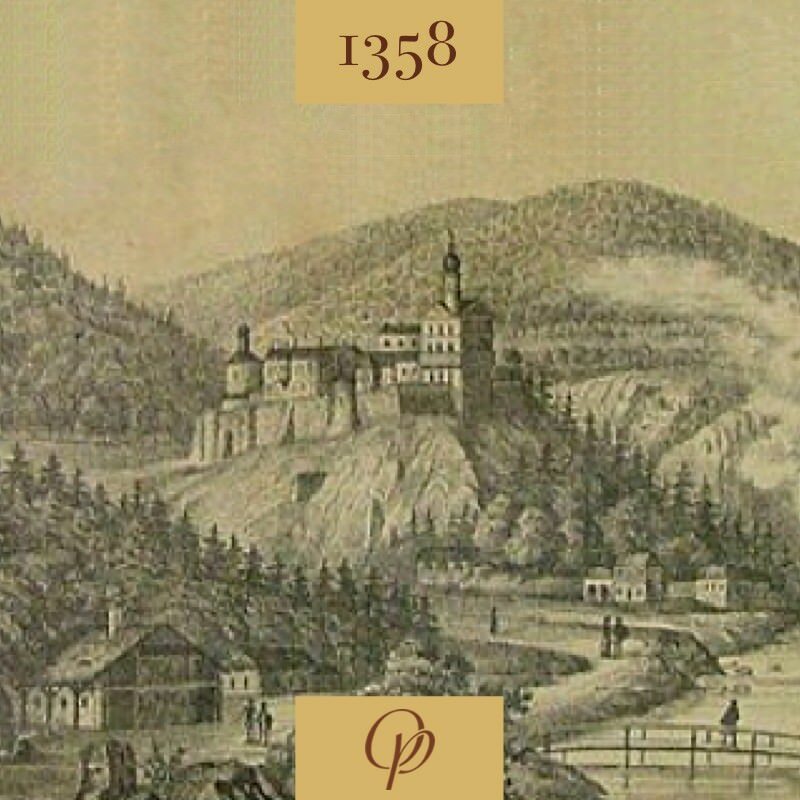 Around the year 1358 emperor Charles IV let to build very close to newly found hot springs gothic castle called Schlossberg (Zámecký vrch). Today on the street behind it there is Luxury spa hotel OLYMPIC PALACE. 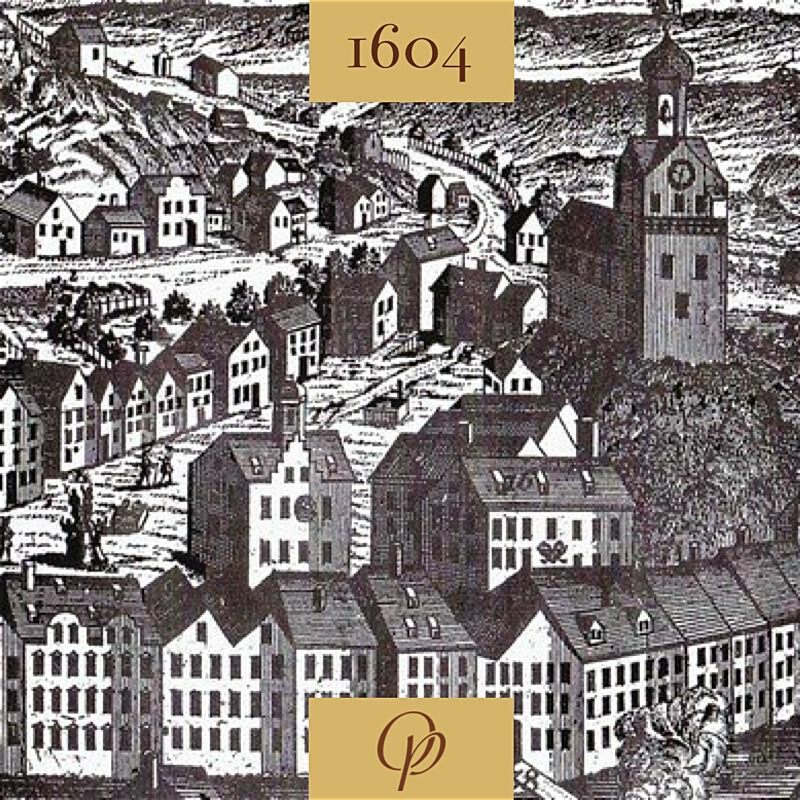 Emperor Charles IV gives the Hot Spa by Loket as Carlsbad was called freedom and law like royal town Loket. 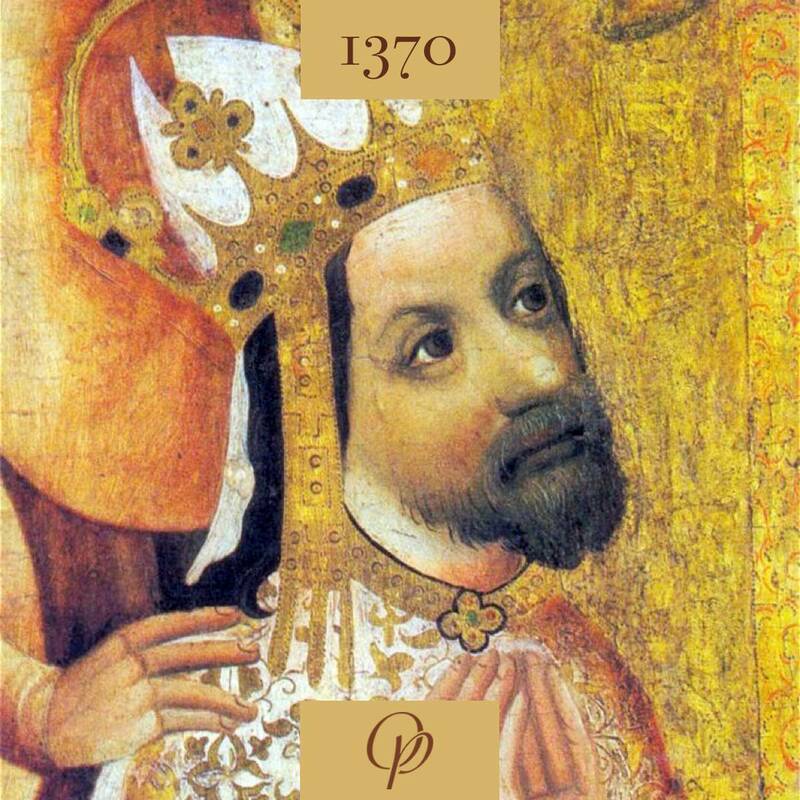 Charles IV will live in a new town in the years of 1370, 1374 and 1376. The day before the celebration to gain the status of town, two daughters of Apolonie Rutendust are watching marching solders and they forget to watch melting butter on the hob which is causing the big fire and from 102 buildings remain only 3. There is Castle Tower and newly built houses in the picture before the year 1759 when there was another big fire. 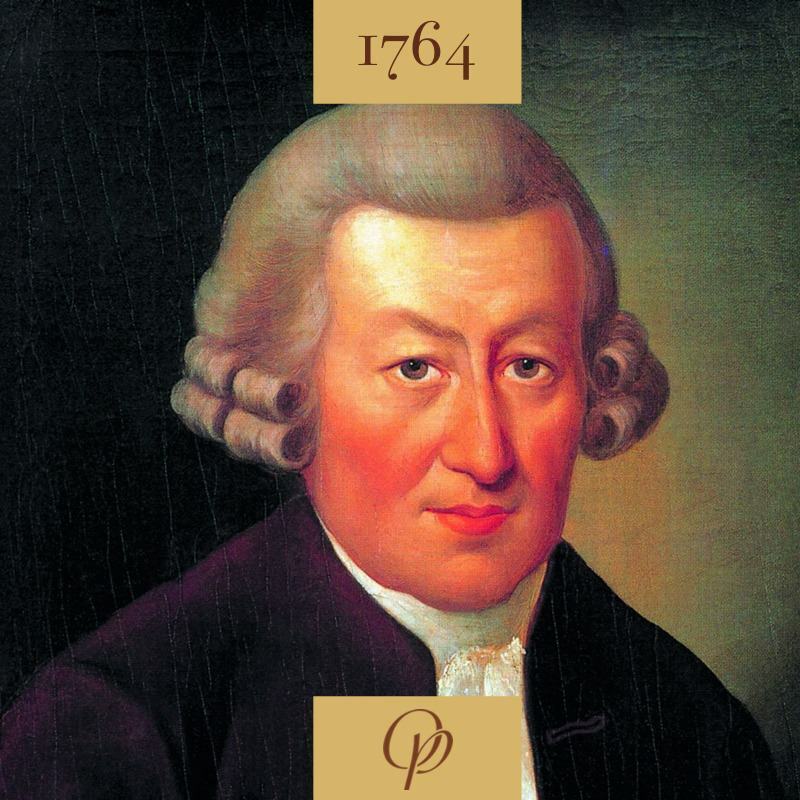 Thanks to David Becher in 1764 they start to make and export thermal spring salt. Dr. Becher advocates to moderate the intake of drinking water and again increases the prestige of baths in spring water. His academic principles promote to drink spring water right at the springs which later leads to build gazeboes and colonnades. 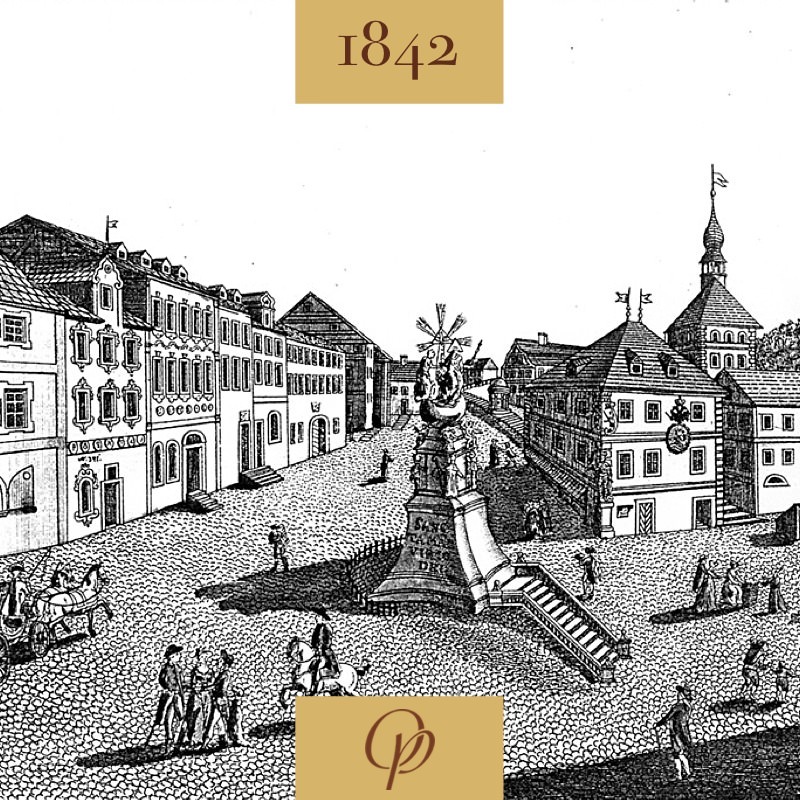 In the year 1805 in the House of Three Larks, close by our hotel an enterprising Josef Vitus Becher runs a grocery shop. A very good friend Dr. Christian Frobrig from England gives him a recipe for a liquor as he is leaving Carlsbad. 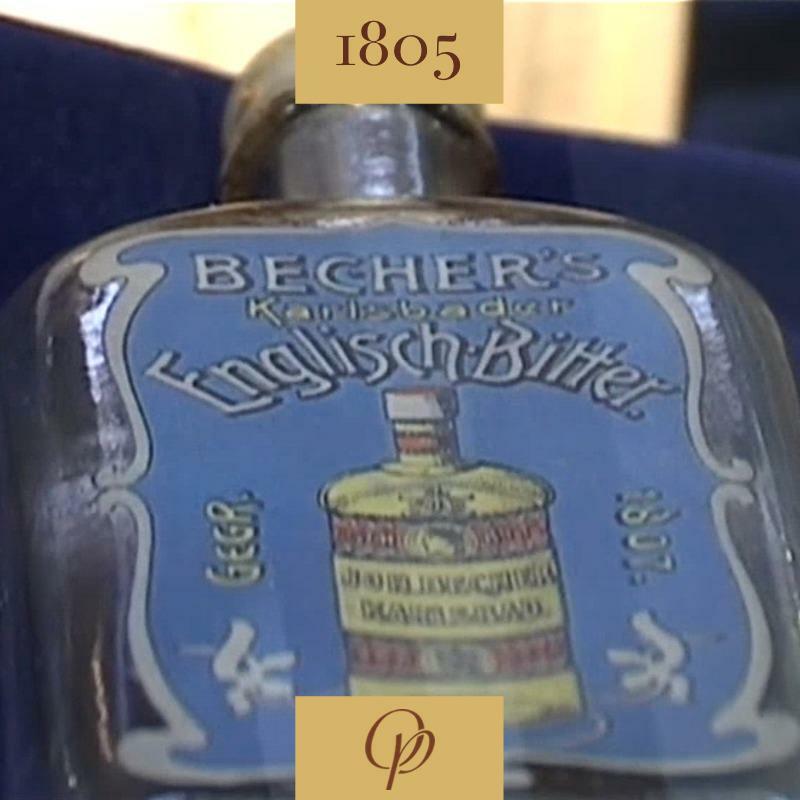 Two years later Josef Becher stars production of liquor given to people for stomach treatment and he calls it English Bitter, later renamed Becherovka. Defunct colonnade of New spring bulit in 1972 was first building of this kind in Carlsbad. 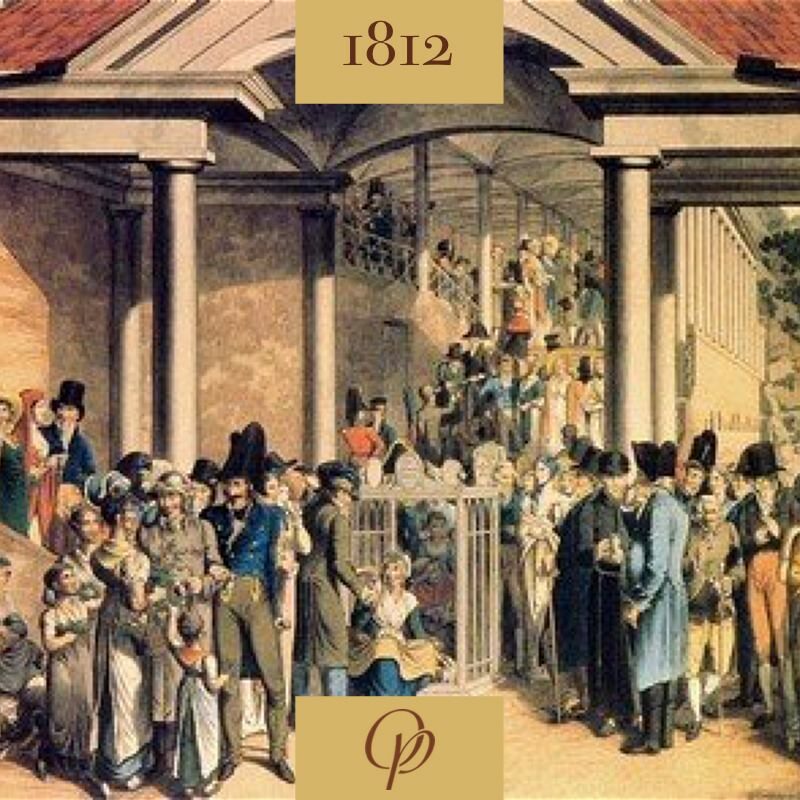 It shalters spa guests during unfavourable weather but soon it will not be convenient and 14th October 1818 they start to build a new colonnade, situated above the river so we could see the romantic reflexion in the river. 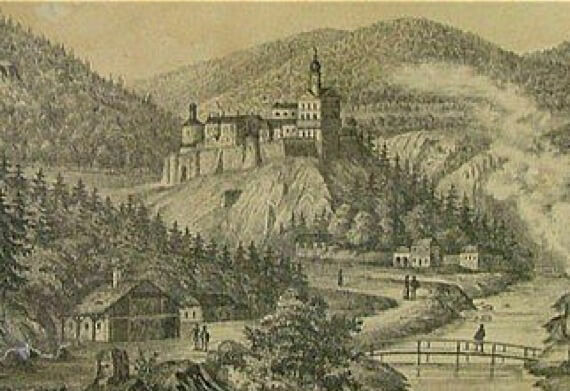 In the year 1818 they start to build road from Zámecký Vrch/Castle Hill to Horní Slavkov through Slavkovský forest. The road together with the expansion of the spa becomes main reason for the house development above the Castle Hill/Zámecký Vrch. 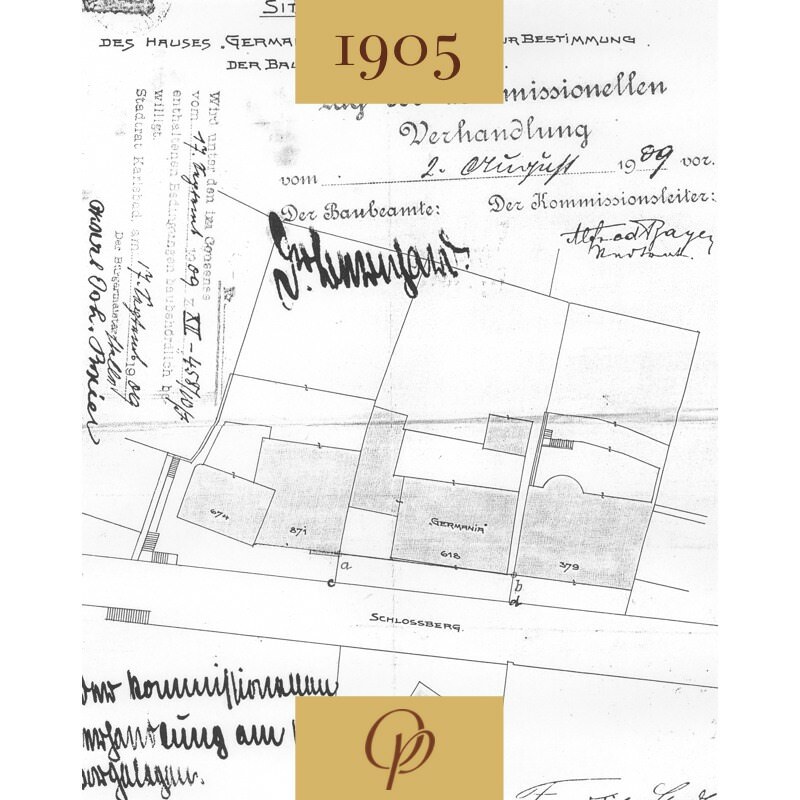 The cadastral map from the year 1842 showes the built-up area on the plots with numbers 618 and 379. 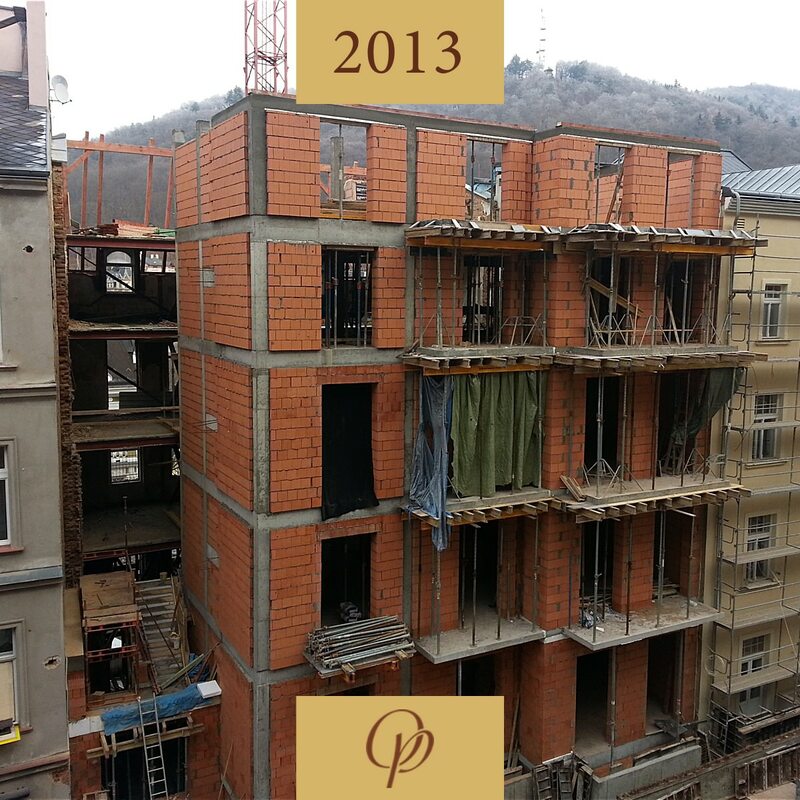 Later Stadler and Oertl bed and breakfast/pension will be built there and today Luxury Spa Hotel Olympic Palace. 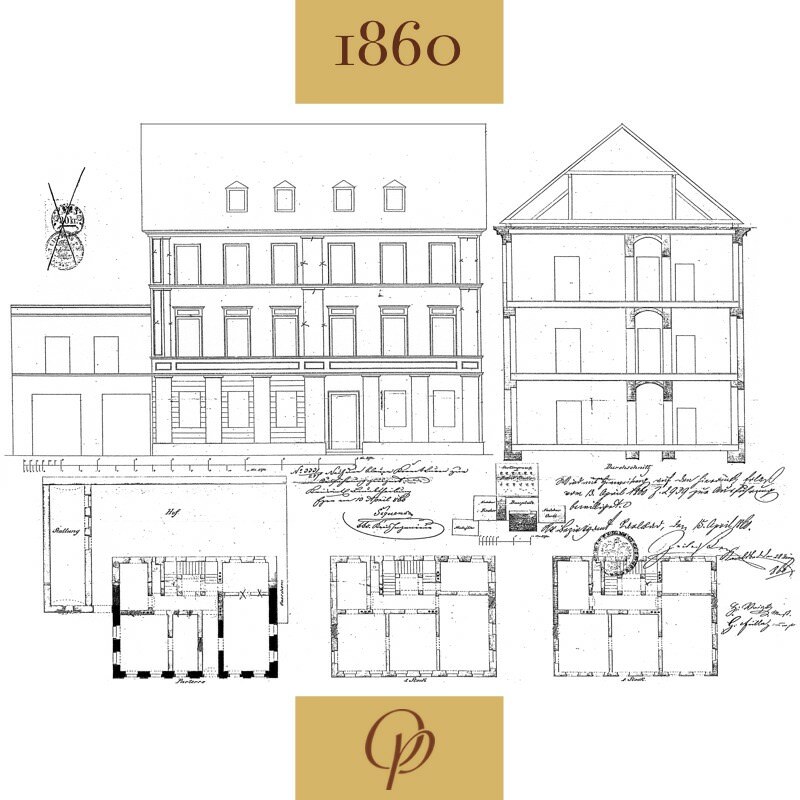 Franz Stadler from a successful carpenter dynasty agrees to the radical reconstruction of the older house no: 618 and a simple two-storey house with ground floor and spa services is built, pension Germania. Neighbouring hotel Herzog von York on the left and hotel Westminster on the right. Major importance for the town development is opening the railway line Karlovy Vary – Cheb with connection to German railway network. 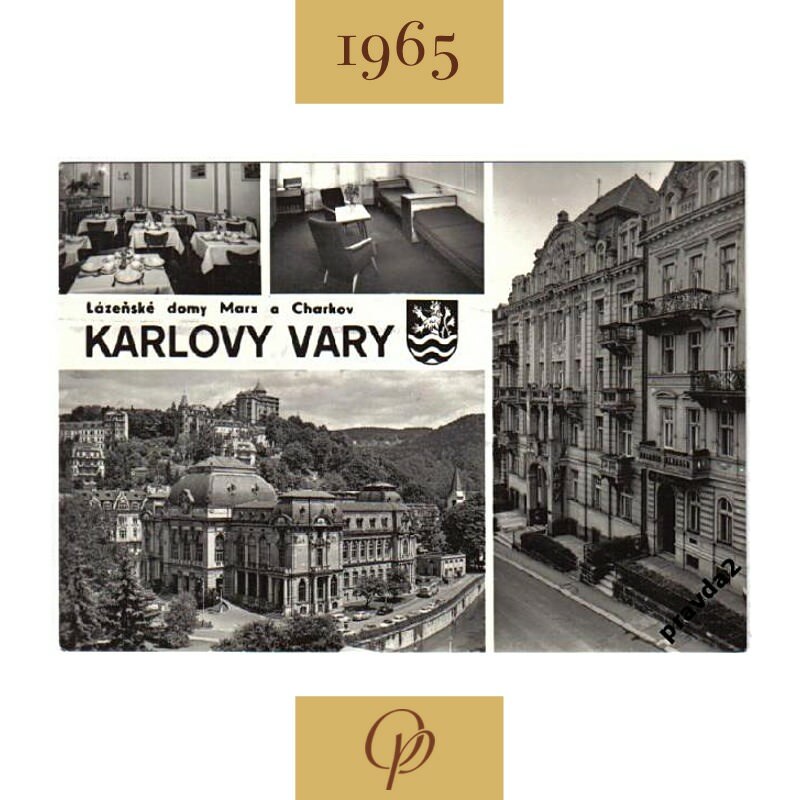 Year later there will be railway line Praha – Karlovy Vary. Railway connection will mean a significant recovery in economic life and the unprecedented growth in number of visitors. In the picture upper railway station/Horní nádraží in year 1935. 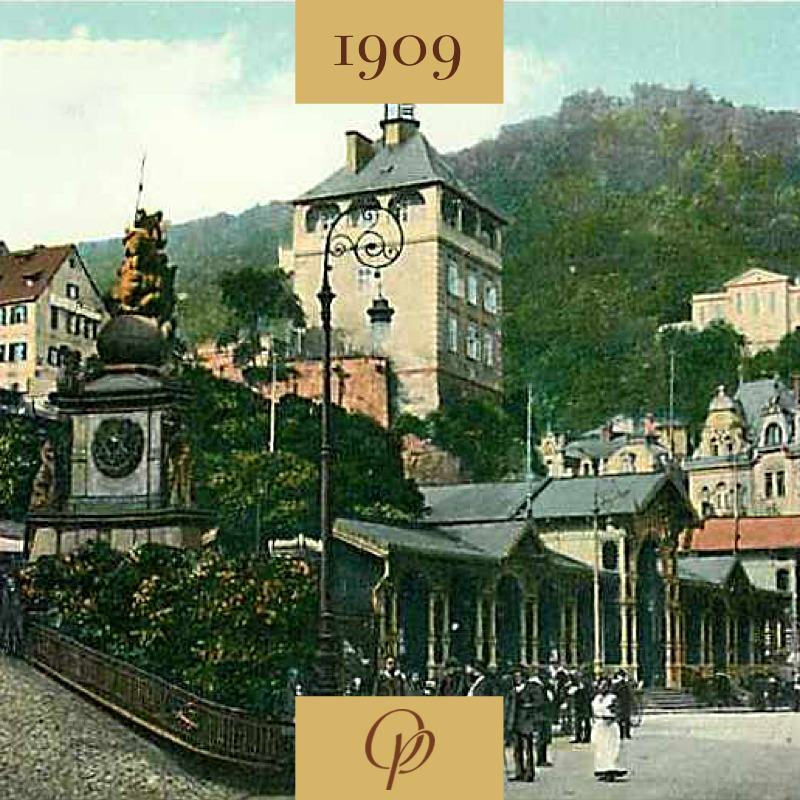 In spite of precise maintenance pension Germania its premises and services were no longer suitable for Spa expansion in Karlovy Vary at the beginning of the 20th century. 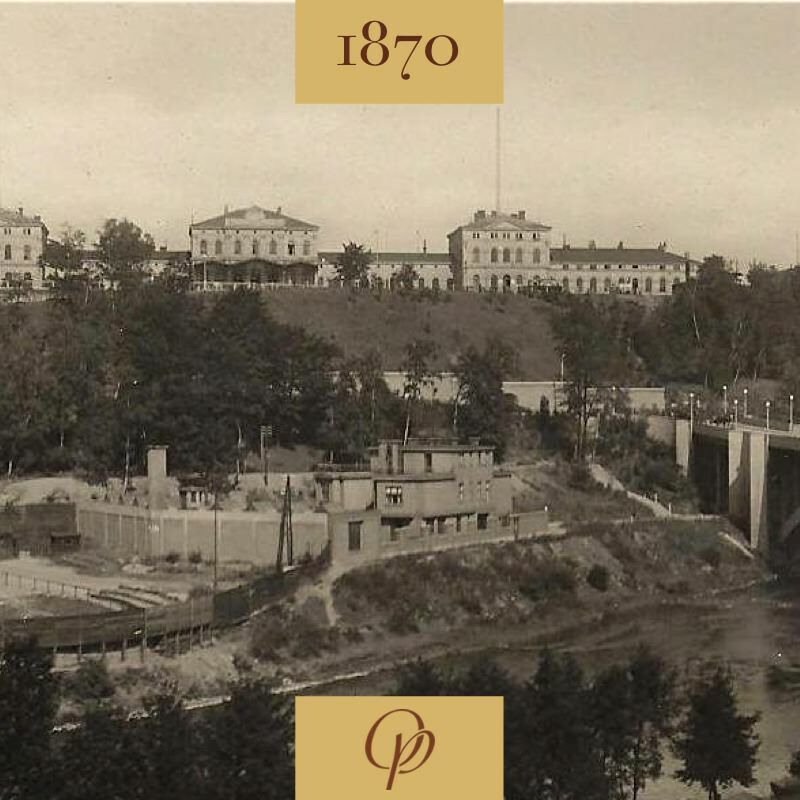 Two of the three sons of the owner, Anton Stadler and Friedrich, have the intention to build a completely new spa hotel. In the picture situation prior to the start of construction. Town Council and the Building Authority approve the intention of building a new house Germania. 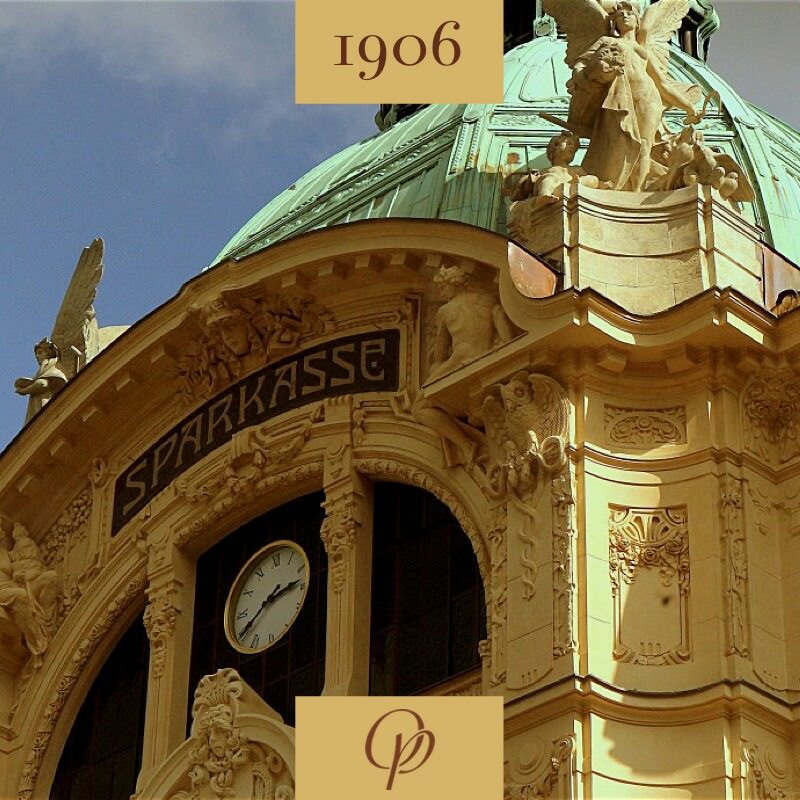 There is an opening ceremony on the 26th April 1906 for noble Art Nouveau Municipal savings bank designed by talented 31 year old Otto Stainl. The new building engage Stadler brothers so much that they assign 31 year old Otto Stainl to design new look of spa house. 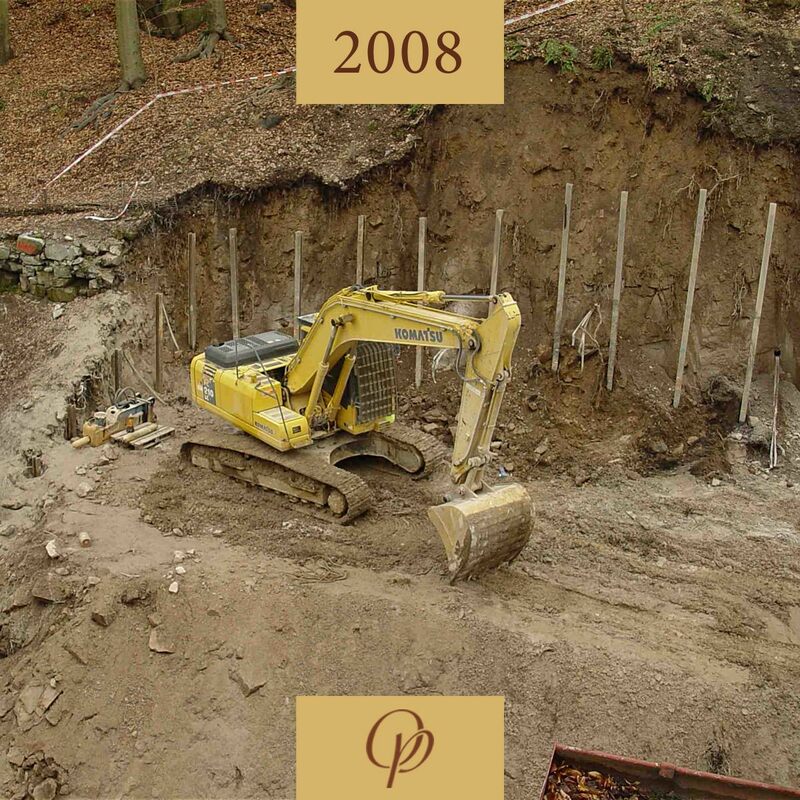 Owners give the construction of spa hotel to the hands of successful builder Waldert as he participated in the construction of the municipal savings bank. The construction is affected by the sudden death of the architect Otto Stainl. He died 12th July 1907 at the age of 32. In the picture architect drawing of main façade as proof of his maturity. 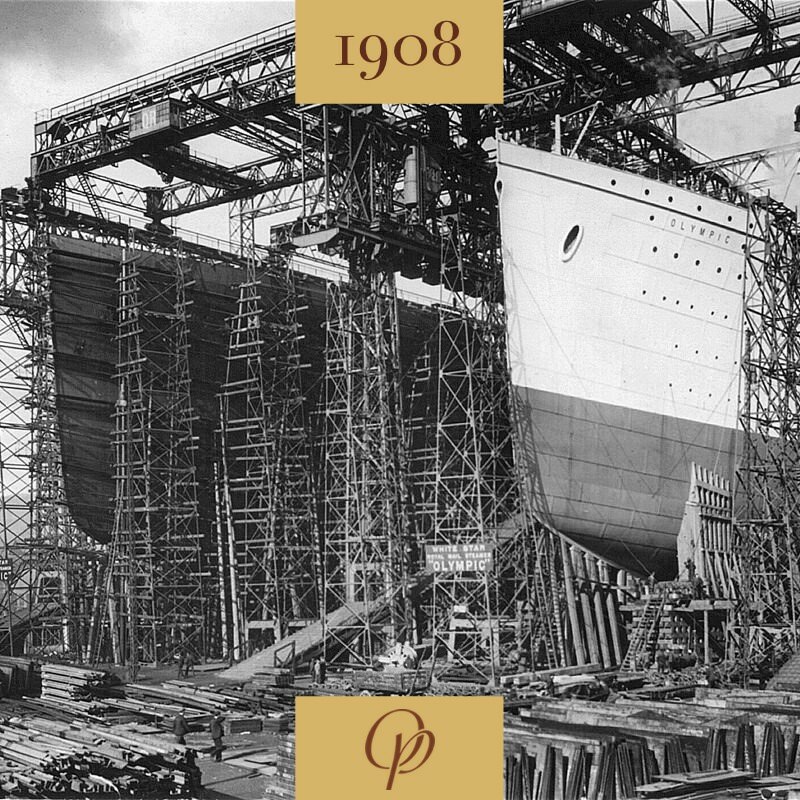 In Belfast, the keel is laid, and the construction of the world’s largest ocean-ships Olympic begins, made by British White Star Line. In ten years, the name of the ship indelible connects the fate of our Carlsbad hotel. At the turn of the 19th and 20th century Carlsbad is experiencing an unprecedented boom. 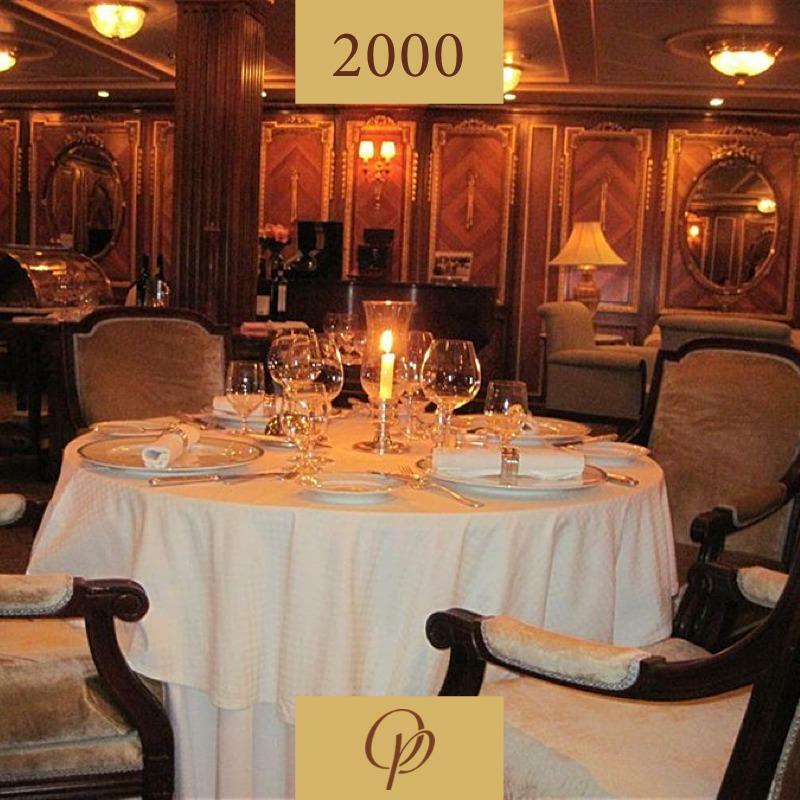 In 1911 there will be a record of 70 905 guests for spa treatment. Hotels, colonnades and public buildings are being built. Nostalgic atmosphere of the early 20th century captures the postcards with the Castle Tower from 1909. Nearby the construction work on our hotel carries on. There is an opening ceremony of spa hotel Germania. 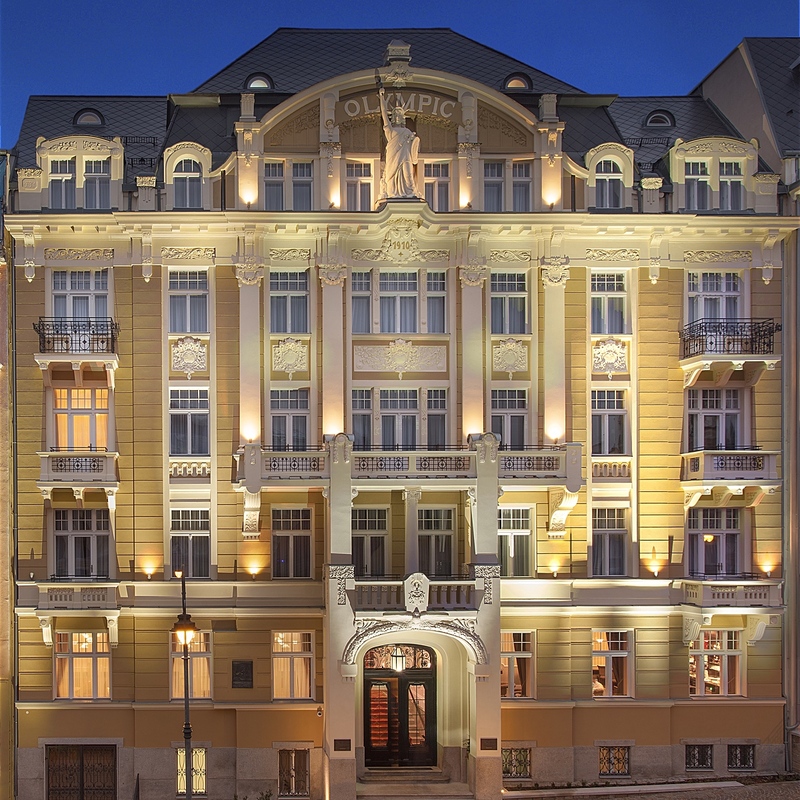 The hotel has 55 rooms, 85 beds, four floors, attic roof, seven window axises, balcony, on the front rich stucco decoration with Art Nouveau ornaments. 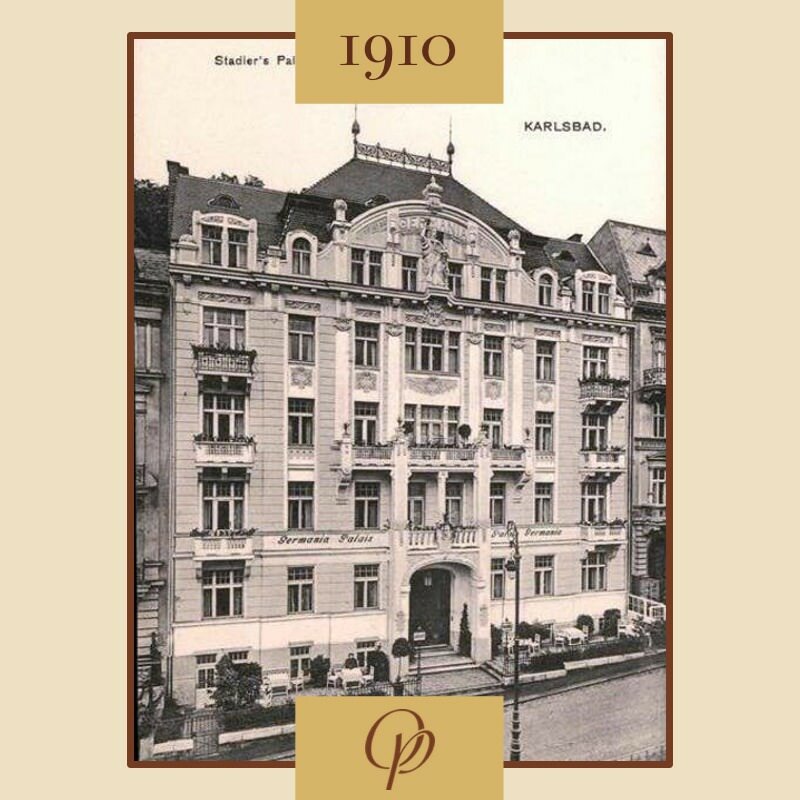 In the year 1914 owners Marie and Berta Stadler rename the hotel to Germania Palais. 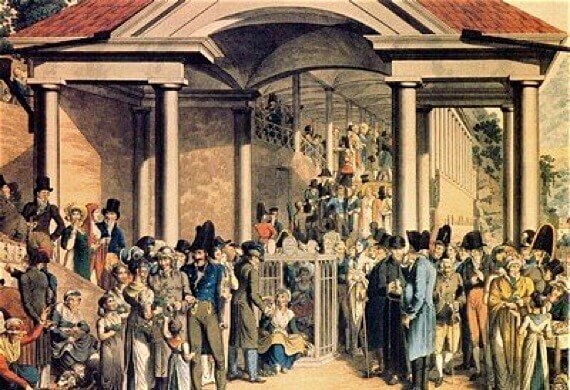 The ship Olympic departs on it is first voyage from the British Southampton, to New York. The voyage takes seven days. The ship will prove not only as a luxury ocean liner for tourists, but during the First World War it transports British soldiers and sinks a German submarine, U103. 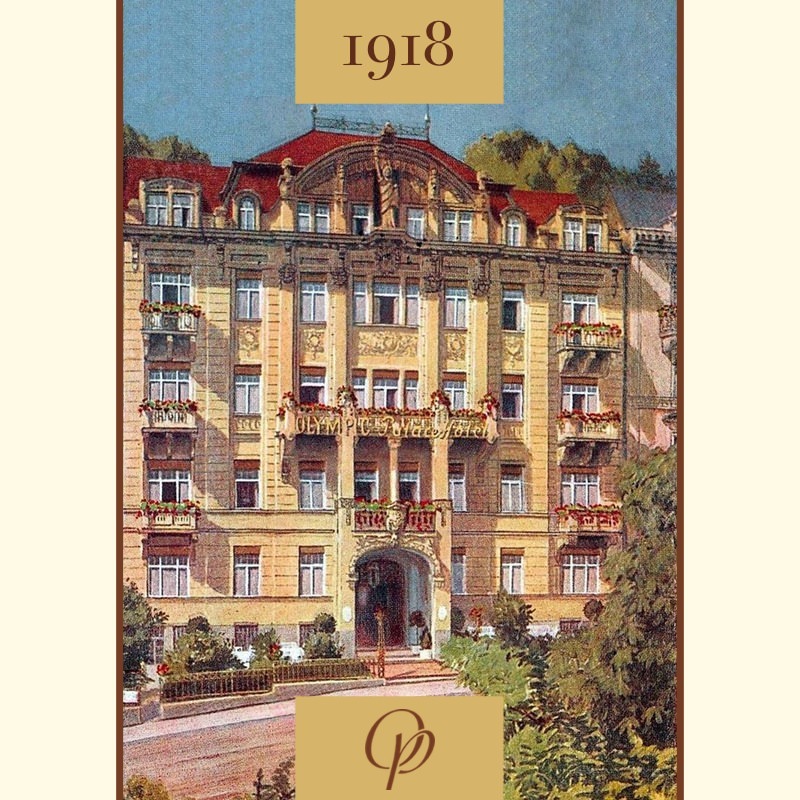 After World War I and primarily with the emergence of a free Czechoslovakia the name of the hotel had no value. The Stadler sisters change the name to Olympic Palace Hotel after the ocean liner Olympic, which is in its seventh year of crossing the Pacific Ocean. A replica of the Statue of Liberty is installed into the facade. It later becomes an annoyance to the Nazi and Communist leaders. 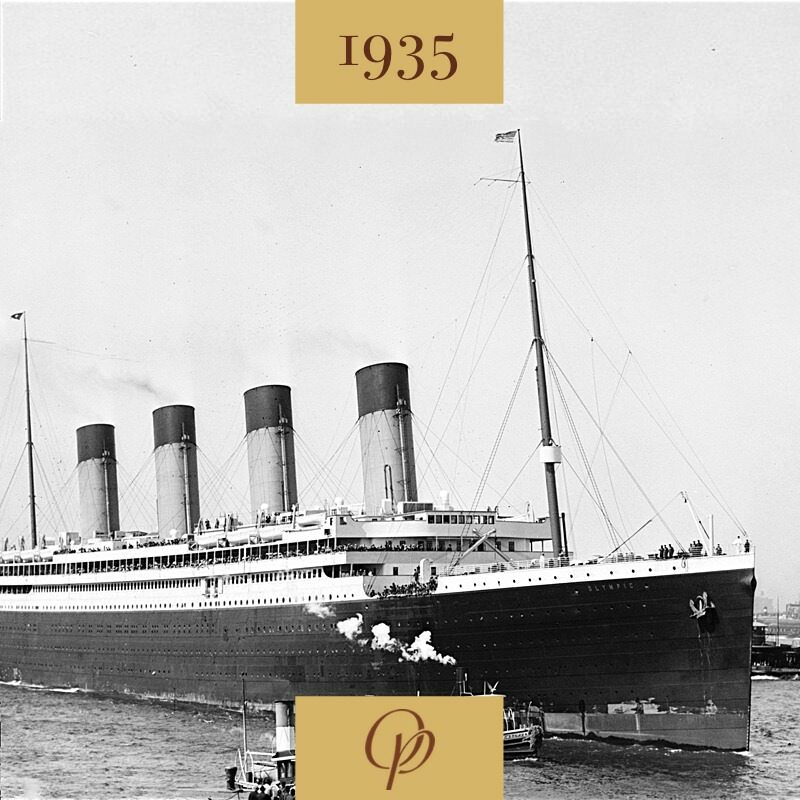 The ship Olympic served successfully until the year 1935, and hotel Olympic also blossomed. 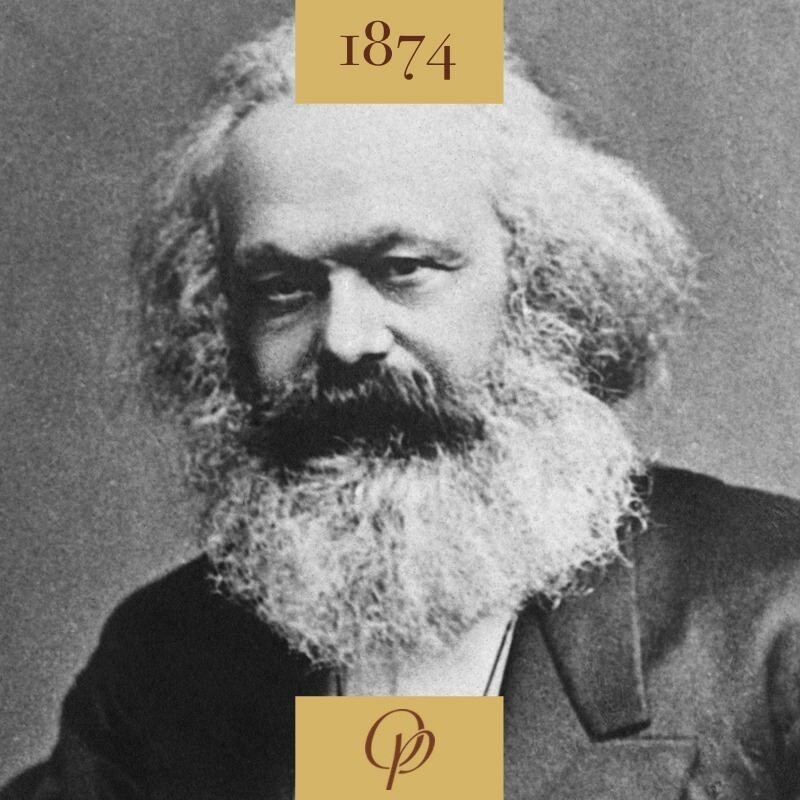 With the economic crisis and the coming fascism, communism and early capitalism come hard times. The ship is scrapped in 1935 and the hotel loses purpose after World War II. Nevertheless both stories have a promising future. 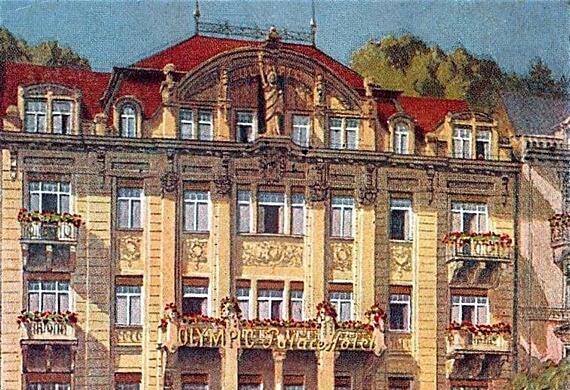 After nationalization and transfer to the Czechoslovakian government spa of Karlovy Vary the hotel becomes House Marx, and the neighboring hotel Westminster becomes Spa House Charkov. Over the years there are many insensitive modifications, for example a linoleum is put down in the entrance hall. 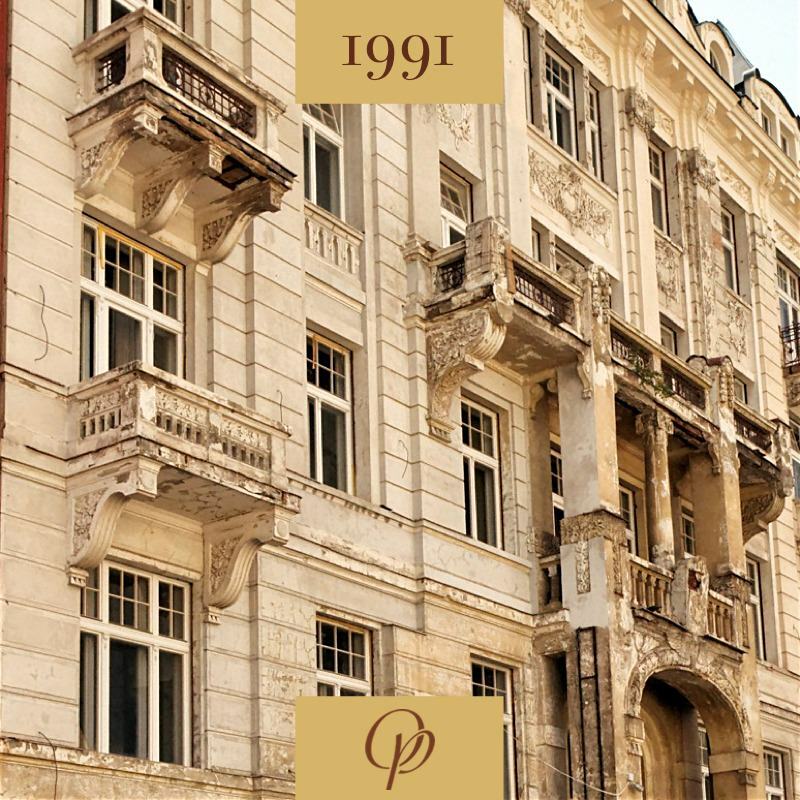 After the velvet revolution, in the year 1991, under the order of the ministry of culture the hotel Olympic Palace becomes a cultural monument. The monument protection applies to the neighboring house Albion (formerly Westminster), only only in terms of it belonging in the cultural heritage zone. None of this helps to prevent further destruction of both hotels in the coming years. The luxury boat Millennium departs onto the Ocean. One of the restaurants is named Olympic and the interior is decorated with several original pieces known to us from the ocean liner Olympic. Will hotel Olympic Palace also come to life? Though it does not seem so it is finally dawning on better times. A new owner buys hotel Olympic and Albion, from the Dutch owner, and he has great plans with them. The state in which the new owner received the hotel is captured in the photograph. What seems as a toy in the picture is a twenty ton excavator which is cutting into the hill side behind the hotel. 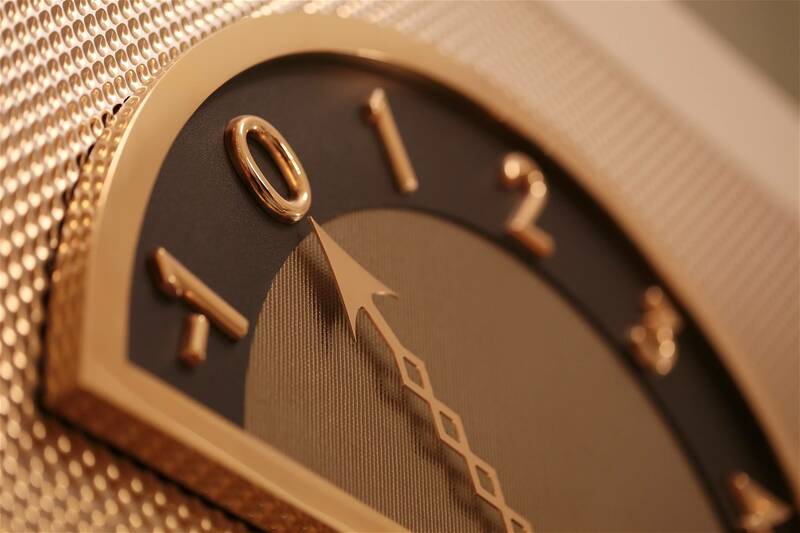 A few meters deeper we open a modern balneology centrum Hera for our guests. All the way up to the ear 2009 difficult projects go on to mine out the rock on the back wing. In total 11 cubic meters of soil are transported out. You will get an idea of the complexity of work when you look at the profile of the concrete wall. The reconstruction is affected by the worldwide crisis and reconstruction is paused until the year 2013. From 2013 to the ceremonial opening intensive work is underway on all fronts. The weak Albion skeleton is reconstructed and completed with an extension so its depth is equal to hotel Olympic. Reconstruction of the facade is next in line. 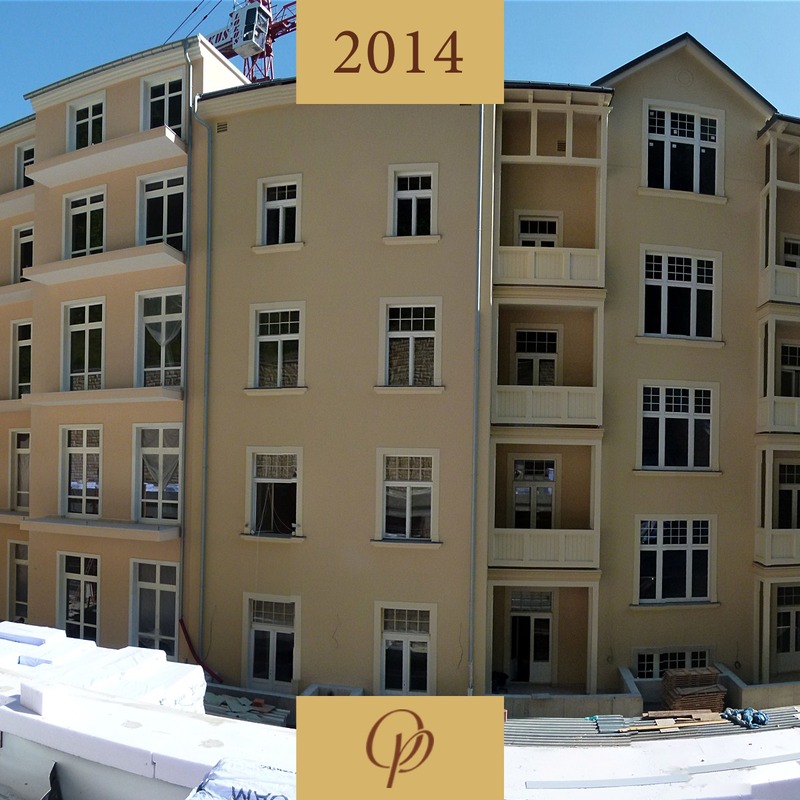 In the first half of 2014 the facade in the back of the hotel Olympic and Albion is finished, in this way optical unification occurs in the future hotel Olympic Palace. 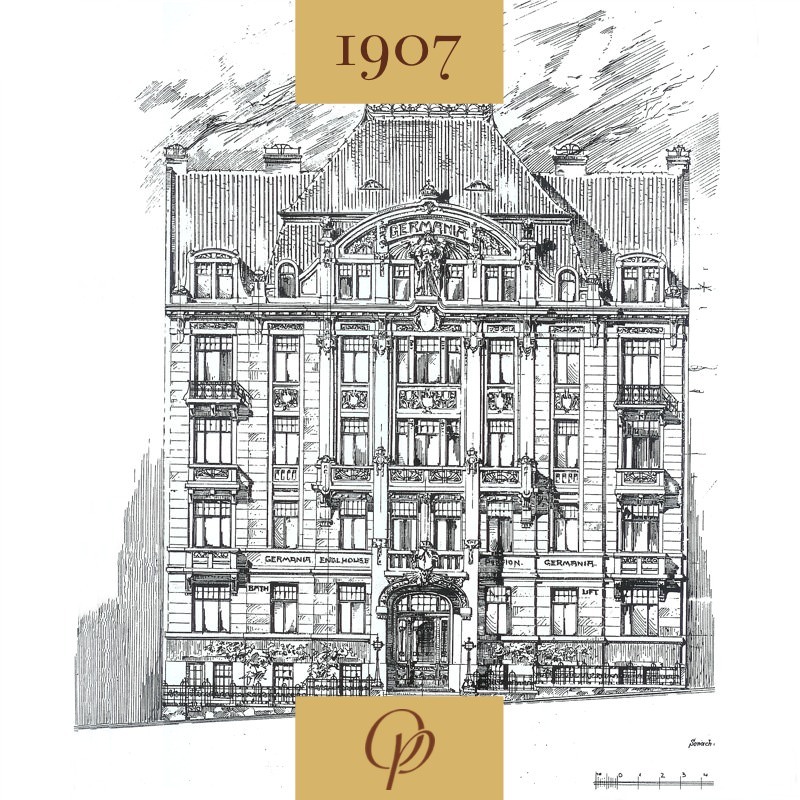 By the end of the year the facade on the street side will be carefully completely reconstructed according to original drawings of the archer Steinl. The circle filled with all intricacies of the 20th century in central Europe slowly closes. 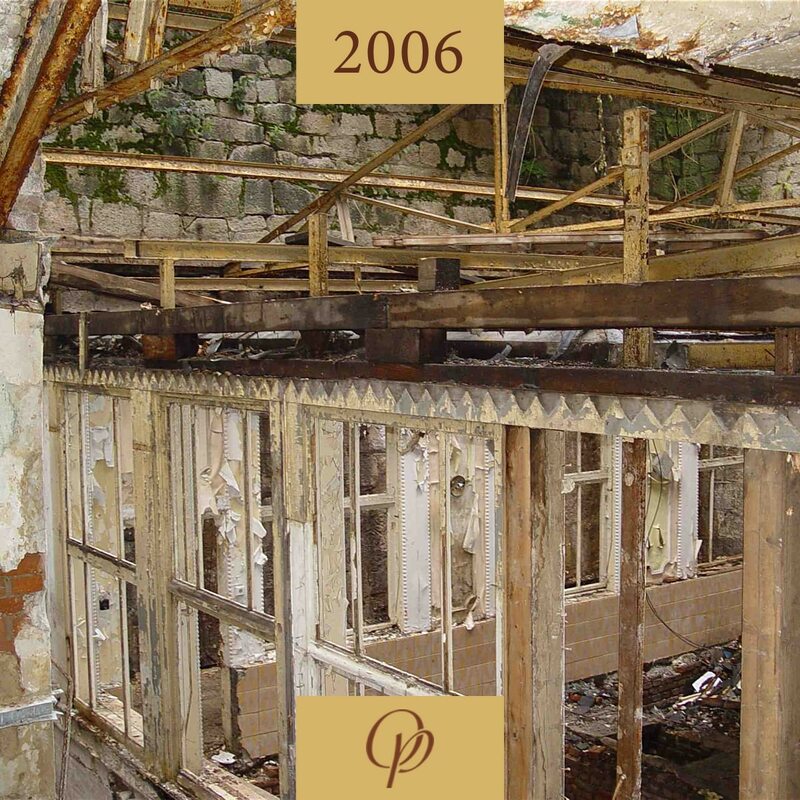 In 2015 hotel interior and balneological wellness center go through reconstruction. At the very end of all work the long awaited day comes. September 1st, 2015. 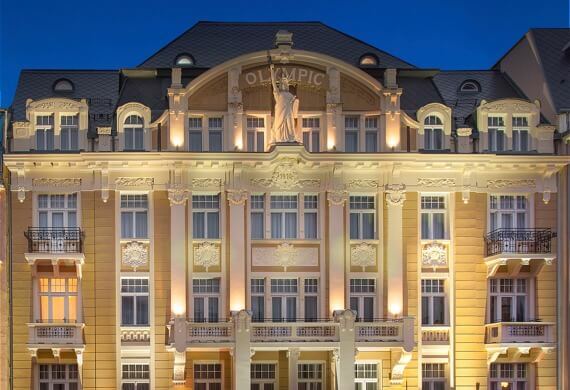 Luxury Spa Hotel OLYMPIC PALACE ceremonially opens to spa guests. May you like it here!